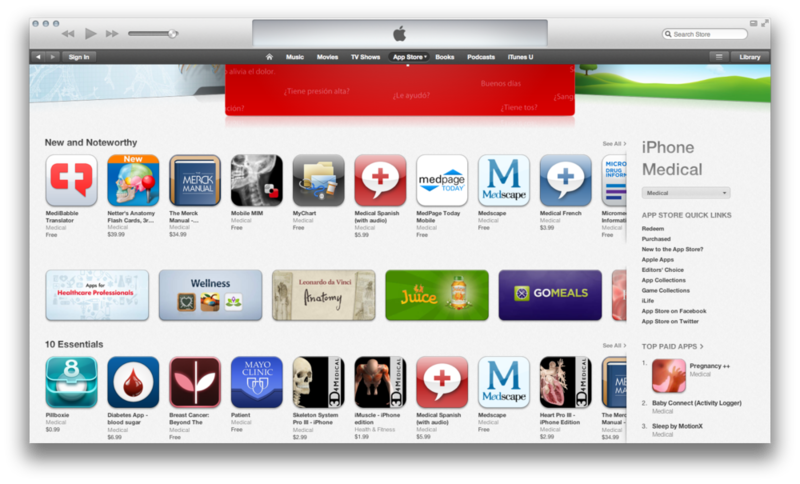 Apple listed Medical Spanish and Medical French as top "New and Noteworthy" apps and in the top "Ten Essentials" Apps for Healthcare Providers in early 2013. Thorough, streamlined, and intuitive, Medical Spanish: Healthcare Phrasebook with Audio will help you communicate with your patients quickly and easily. Perfect for offline use, Medical Spanish is one of the most thorough medical Spanish phrasebooks for the iPhone or iPad. With audio for over 3,000 phrases, this app has unsurpassed functionality in helping you communicate effectively with your Spanish speaking patient. Read more about the app in the iPhone Medical App Review Blog. Content was written by physicians to make sure the content was relevant to medical practice. The app was designed by an iPhone and Mac software engineer, Ameir Al-Zoubi, founder of Batoul Apps. Three native-speaking Spanish interpreters representing different countries in Latin America cross checked the vocabulary and fluency to ensure comprehension buy all of your Spanish-speaking patients. Lastly, a native-speaker recorded the audio in a recording studio to ensure high-quality audio. View Dr. Robin Eickhoff on Kens5 News as she demonstrates using Medical Spanish: Healthcare Phrasebook with Audio app on her iPad in her Texas clinic. We've made a collection of additional resources to help you quickly provide patients reliable information on various medical topics.